PAYING CASH?? 6.5% OFF !!! We strive to keep you and your love ones safe and sound from the things that go bump in the night. Locally owned and operated here in Sioux Falls, SD. Bringing small town customer service, with large scale pest control. Whether you’re having problems with Cockroaches, Carpenter Ants, Bed Bugs, Termites, or other critters, Bug Busters is the place to call. One-Of-A-Kind “No Cost - 5 Year Warranty on Termite Services”. In fact, we are confident that “We Offer the Best Warranty” AND… “No one Beats Our Price” show us any competitors quote and we will beat their price by 10%!! Did you know?? Most other companies will offer the warranty, however may charge for revisiting you for follow up service. WE DO NOT CHARGE FOR THIS - THAT’S WHY IT’S CALLED A WARRANTY!!! We Treat ALL Pests Big and Small. We are available to help you 7 days a week. Call Bug Busters today at 605-221-BUGS (2847) to schedule your FREE estimate on reclaiming your home from pests. Keeping your bed reserved for you and your loved ones. Bed bugs (often misspelled as bedbugs) are small, nocturnal, wingless insects, that feed on human blood and other warm-blooded hosts. They are oval in shape and grow up to 4 to 5 mm long when fully grown. Their skin color is rust brown to a deeper red brown. 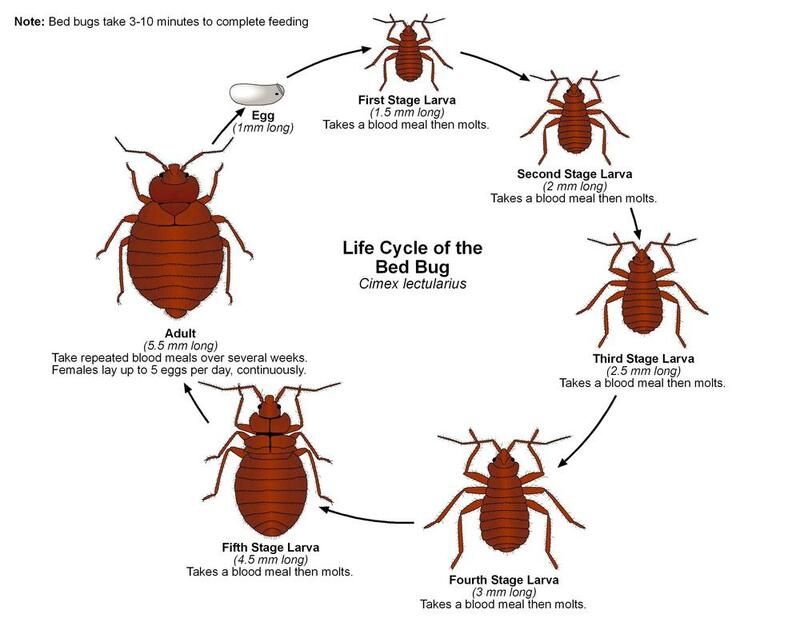 Bed bugs are also known as “mahogany flats,” “red coats” and “chinches.” The adult bed bug does not have wings and has a flattened body. It’s possible to pick up bed bugs almost any place—they’ve infested offices, stores, hotels, gyms and countless other places. They can hide in your luggage, personal belongings, or even on you, and hitchhike a ride back to your home, condo, townhouse or apartment. Once indoors, they can be extremely difficult to control without the help of an experienced pest specialist. A bed bug infestation has nothing to do with cleanliness — you can pick them up in the finest hotels, and they can hitchhike into the cleanest homes at any time. 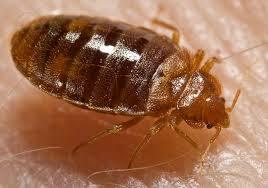 But, you can help reduce your chances of a costly bed bug infestation by catching them early. Termites feed on dead plants and trees as well as dead parts of living trees, including wood and wood in the soil. A termite’s mouth is capable of tearing pieces of woody material. This ability is what causes concern in human dwellings: while termite workers only measure approximately 1 cm to a few millimeters in length, their feeding habits are capable of causing costly damage to property. House foundations, furniture, shelves and even books are all possible feeding sites for termites. Subterranean termite homes are usually formed in soil. Within these mounds, termites build elaborate tunnel systems and mud tunnels through which they access above-ground food sources. Dry wood termites live within the wood they consume and oftentimes infest walls and furniture. We use the latest and Greatest resource(s) available to treat your home, both INSIDE and OUT. For the best proven protection contact us today. We offer repair and/or pretreatment contracts for qualifying homes. This allows us the peace of mind that we are protecting your home. All treatments receive our FREE no questions asked 5 year warranty! Noise in the attic? Odd smell you cant quite put your finger on? It might be Bats! Flight has enabled bats to become one of the most widely distributed groups of mammals. Apart from the Arctic, the Antarctic and a few isolated oceanic islands, bats exist all over the world. Different species select different habitats during different seasons, ranging from seasides to mountains and even deserts, but bat habitats have two basic requirements: roosts, where they spend the day or hibernate, and places for foraging. Most temperate species additionally need a relatively warm hibernation shelter. Bat roosts can be found in hollows, crevices, foliage, and even human-made structures, and include "tents" the bats construct by biting leaves. Your attic provides all the right things. With Bats having the ability to move in and out using gaps as small as 3/8th of an inch, its very easy for them to make home in your home. 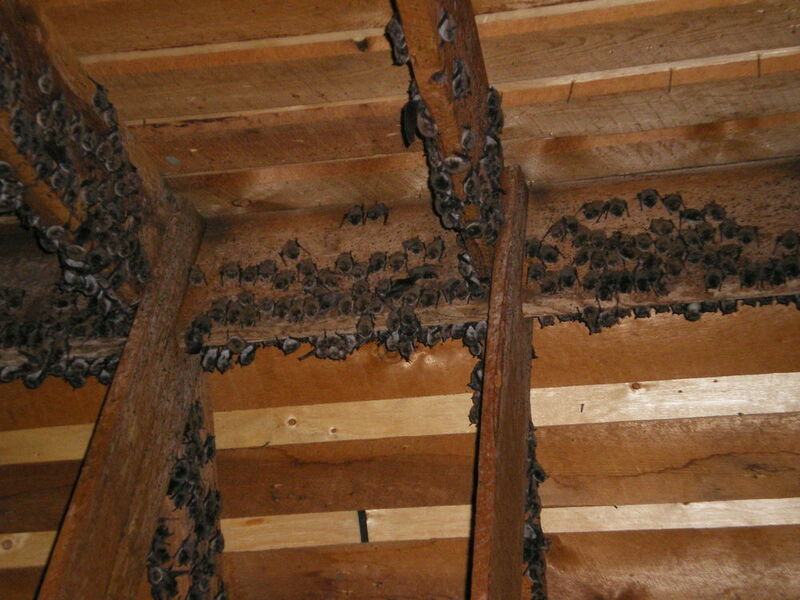 We at Bug Buster take pride in providing a safe and effective method of Bat removal and fortify your home for a Bat free future. Mice, Rats, Voles, and Moles. Rats are very dependent on humans for their survival. They will come into buildings through tiny cracks and crevices in search of shelter, food and water. If these necessities are available to them, rats will take up residence inside properties. Cockroaches, Ants, Carpenter Ants, Silverfish, Spider, Ground Beetles, Powder Post Beetles , Lady Beetles, Box Elder Bugs, Centipedes, Millipedes, Fruit Fly's, Cluster Fly's, Indian Meal Moths, Bees, Hornets, Wasps, Crickets, Earwigs, and Sow Bugs.